few things sadder than old blue curtains held up by thumbtacks. Not only is cancer eating up his insides and the doctors promising him no more than six months, the good state of Oklahoma is speeding up the process by executing him this afternoon. Thank you very much, Jimmy Dale, your services on this here planet are no longer needed. Wow. And I just thought having a last name like “Bland” was bad. All that money burning holes in your pocket? Get rid of some of it! In lieu of pelting me and Cody with serving spoons, donate to Autism Speaks. Go on; do it now! 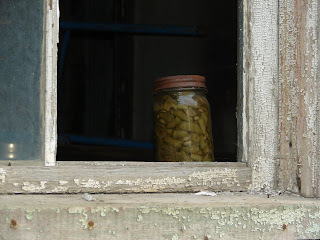 Joe took this picture: a jar of green beans sitting on the windowsill of the house our grandmother was raised in, a house that has been abandoned forty years now and is grown over with poison ivy and kudzu. I remember being little at our other grandmother’s house and spending all afternoon sitting on the porch snapping and stringing beans. Mama Heaton would spread her knees and make a bowl out of the skirt of her dress, throw the heads and the strings of the beans into that bowl. Heather and Joe and I’d snap until our fingers hurt, and Mama Heaton’d tell us to keep snapping, and we’d snap some more. I’m up in the mountains now–in Blowing Rock, North Carolina–not even an hour from that front porch. I’ve got this feeling of emptiness that I keep trying to find words for but it only comes to me in flashes: a salted tomato, the cracks in the sidewalk that ran up the street, a hickory bush, the smell of bologna frying, Bob Barker’s voice coming from the bedroom. My mother told me once that her father (before he died–almost everybody is dead now) was building a boat in the basement of that old house. Every evening when he’d come home from the gas station and before he’d go to the mill, he sanded the wood and sawed the notches. He spent hundreds and hundreds of hours building a boat that–if it would have been possible to take out of the basement (it wasn’t)–could have sailed around the world. It was a giant ship in a bottle. 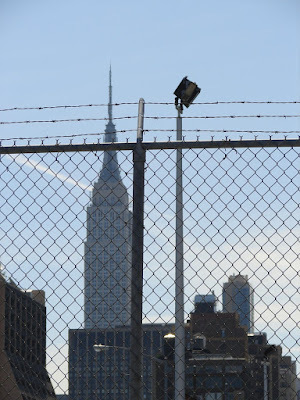 The walls, though, weren’t made of glass; they were more like mud, and there was nothing much else down in that basement: old boxes of torn paper dolls, a washing machine that was nearly always off balance and metal shelves stacked with canned green beans. When I dream about the basement, and I often do, there are secret tunnels and holes, places to hide, places to be found. I am usually reaching for Cody when I dream of it, terrified, and I go downstairs, take an Advil, drink cold water, make small deals with God to get me back to sleep. 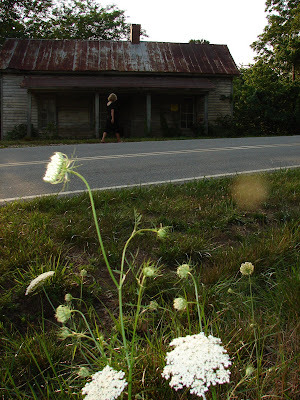 Sometimes, though, I dream that there is a door that opens into the back and that the back is a beautiful orchard: magnolia blossoms and Queen Anne’s Lace, ripe apples and just fallen pecans. When I dream of the orchard, I don’t even bother to look back to see if the house is still standing. I almost hope it wouldn’t be. It’s been years since I’ve stepped into a church for anything more than to cool down on a hot city afternoon in the pale stained glass light. Somewhere along the way, Jesus has become a feeling more than anything else; when I hear the name I think blue sky and hot milk and love; I think goodness and blackberry pie and stopping to talk to your neighbor on her stoop. 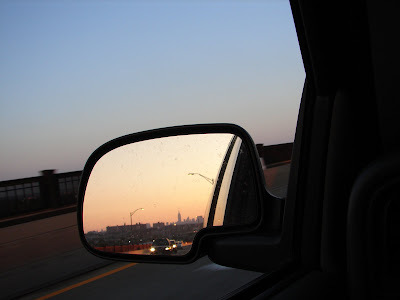 But driving from New York to North Carolina, I listened to twelve hours of talk radio. It made me feel ridiculous and naive and angry and not just a little sad. 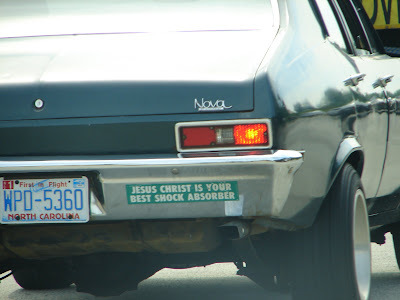 It seems Jesus ain’t blue sky to many (K. might yell at me for even thinking it!) but more of a back alley to kick people in their knees. Don’t let me tell you that I didn’t look back.